Buying a used car can be a difficult experience. It’s not always easy to assess the full history or usage of the car. You can’t necessarily tell how well the car runs from a simple look around and test drive. However, you need to get the best overview of the car and its history as possible. That means having a long list of questions ready for the dealer or seller. Don’t be afraid or pressured into buying. Ask everything you came to ask and make sure you get the answers you want. 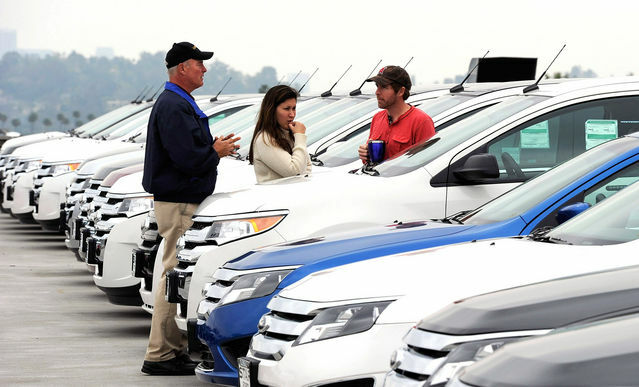 Rushing into a used car purchase can leave you with a poor quality car. If there are hidden problems, the seller or dealer will do their best to hide them. It is your job to seek them out by asking the right questions. The last thing you want is a problem within the first year of ownership. This can be avoided by doing your research before you buy the car. Here are the 4 most vital questions to ask. Can I see the Service History and MOT certificate? Don’t buy the car unless you can see both of these items. The service history will tell you a lot about the car and how it has been looked after. Simple things like oil changes should be done every 5,000 miles or so. You should be able to see evidence of this on the service history. Regular oil changes suggests that the car had an owner that understood car maintenance. You can generally assume it has been kept well. The service history will also throw up other problem areas within the vehicle. Finally, every car must have an annual health check – its MOT. Ensure that you ask for the most recent certificate and a receipt for any work done. Is the displayed mileage correct? In many cases, the mileage can be altered or tampered with to appear lower. Asking the seller should give you an indication of how well they know the car. You can also use information in the service history to determine if the mileage shows is correct. An incorrect mileage can add years to the car that you don’t want. It’s important to know if the car has been subject to a collision or a crash. This can alter the way it performs. If it has, ask what repairs were made and what parts were replaced. It’s important to understand how these new parts could affect how the car runs today. Is there anything I should know about the handling or operating? Professional dealers like McDougal & Breen are legally bound to divulge any information about the car. If you ask, they must give you an honest answer. So it’s worth asking what problems they know about. The same goes for buying from a private seller. They have the most experience with the car and should be able to tell you. They won’t always be expecting this question either, so you should be able to spot a lie or cover up. Getting a full understanding of the car you are purchasing is your right as a buyer. Don’t forget to look under the bonnet and take it for a test drive too. More importantly, make sure you get the answers you want. If the answers sound suspicious, they probably are.